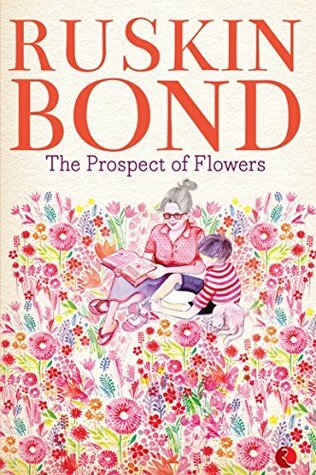 The Prospect of Flowers is a beautifully written short story by Ruskin Bond. The story is not that lengthy but it delves into some of the prominent themes of life that persist in the Himalayan towns and villages. As the story opens, the author subtly regrets the loss of time. He mentions there was wonderful colonial time with lot of mansions built in the hill stations by the British people to save themselves from the searing heat of the plains. One such place was Mussoorie. But now all those big mansions that once reflected the glory of opulence and comfort now lie in abeyance. Now, no one lives there; they have been deserted by their inhabitants. Probably, one strong reason is that India became an independent country and white-skinned people returned to their home country, England. Well amidst all the ruins, lies a well-maintained cottage of Miss Mackenzie. The garden houses all flowers one can think of in the heaven. She maintains her garden and loves the flowers as they are her pets. Miss Mackenzie is an eighty-year-old spinster. She was born in the hills and there is no one in England to whom she can go to. She didn’t marry, though had a few love affairs in her youth. Her parents are dead long ago. Her siblings, who were in India, are dead. In all senses, she is at that age where strokes of loneliness are inevitable. There is a friend of her who from New Zealand sends her gifts and monthly pension. To her company she has kept a black cat, and her cottage is not frequented by many, only a handful of people like padre, milkman, and postman visit her, but not every day. She holds good knowledge of fruits, orchards, flowers and flora that exist in the Himalaya, beyond the lenses of modern botanists. She is of the opinion that nowadays botanists are shallow, that they don’t travel to far off peaks of the Himalaya to discover flowers like Blue Gentian and Purple Columbine. There is more to be discovered. One day a schoolboy called Anil accidentally slips into her garden. Upon confronting her, he says that he is picking up some flowers as he wants to be a botanist. This impresses her, and soon they both become good friends. Anil often comes to meet her and they often discuss the Himalayan flowers and flora and fauna. When the rains are over, winter approaches. This is the time when in the hill stations snow comes and schools close. Anil is from Delhi; he will be going for vacation for all winter and may come back in spring i.e. next year. Miss Mackenzie’s garden is once again wild. After winter, beautiful flowers will spring up again. She realizes that this year’s winter will be severe, and sadly there is no one to help her. Before heading for Delhi, Anil comes to bid her good bye. 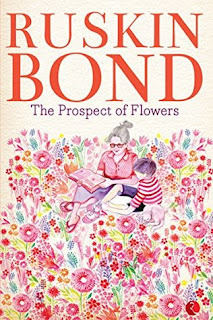 She gives him a very precious book Flora Himaliensis, which covers almost all the flowers of Himalaya. Snow and sleet commence, one night a water bottle bursts and her bedding becomes wet. There is no sun to get it dried up, she feels too weak to do other chores in home. She is unable to rise and look after herself. The misery of old age and loneliness cripples her life. One night when the forceful gales of wind thrust open the window of her home, all night she lay in utter coldness, as a result she dies by the morning. In most of the Ruskin’s short stories where a protagonist is an old woman, she often dies miserably in the end. This is a wonderful story that takes stance on the misery of old age and loneliness that screw life in that phase. Moral of the story one should not plan a lonely life.